Just because your gutters are out of sight, doesn’t mean they should be out of mind. Hiring a professional gutter cleaner in Carrum Downs means you don’t have to worry about this arduous task, instead putting it in the hands of the LeafVac experts who will do the hard yards for you. Our fully trained, reliable staff arrive with all the equipment needed to do a thorough job of cleaning your gutters, using a state-of-the-art high-powered vacuum excavator to rid your gutters of leaves, twigs, dirt, rubbish, debris and pests. Having your gutters cleaned on a regular basis is something all Carrum Downs home owners should be doing. Blocked gutters can lead to all kinds of problems further down the track, including leaks, water damage, structural damage and flooding, which can cause extensive damage to your home. Professional gutter cleaning is an affordable way to avoid costly repairs in the future. 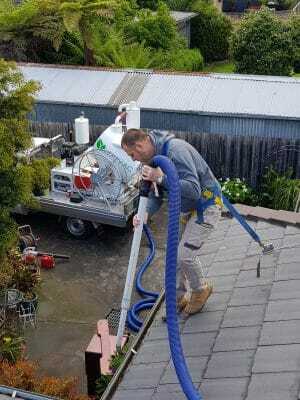 LeafVac is a family owned business that provides fast, reliable gutter cleaning services to commercial and residential properties in Carrum Downs. Our professional gutter cleaners are fully qualified and insured, arriving with the tools and knowledge that will leave your gutter clean and free of debris for a long period of time. We ensure privacy for you and your neighbours and will provide photographic proof of the before and after difference. For gutter cleaning in Carrum Downs you can trust, contact LeafVac today on 0455 488 837.